A mother wrote a heartfelt message to a mystery man who helped her and her baby daughter on a flight from Orlando to Philadelphia last week. 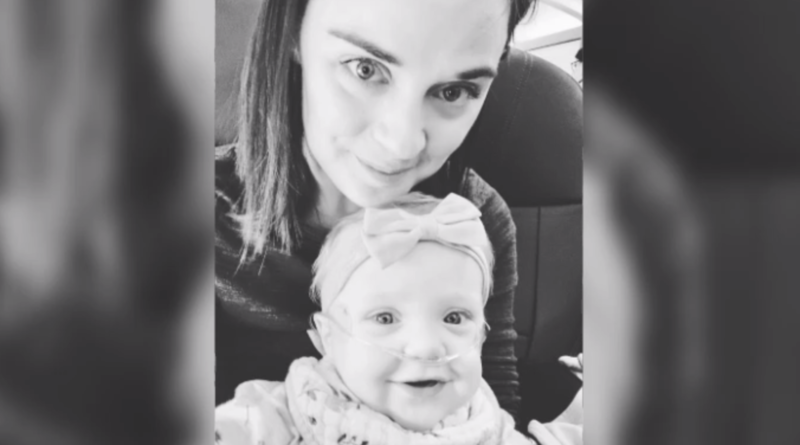 Kelsey Zwick said she and her daughter, who was born prematurely and needs an oxygen machine, were on their way to Children's Hospital of Philadelphia (CHOP) when the stranger's random act of kindness warmed their hearts. "To the man in 2D," Zwick wrote on Facebook, hoping the mystery man would see, "I don't know you, but I imagine you saw us somewhere. I was pushing a stroller, had a diaper bag on my arm and also lugging an oxygen machine for my daughter." Zwick's 11-month-old daughter, Lucy, is actually a twin. Her girls were born nearly 11 weeks early and Lucy spent 100 days in the NICU, while her sister stayed for 86 days, Zwick told WTXF-TV. Lucy now has chronic lung disease and was on the way to CHOP for treatment. Zwick wrote that although they were traveling to the hospital, she and her daughter had smiles on their faces because they were going to see their "friends" at CHOP. "We pre-boarded the plane, got cozy in our window seat and made jokes to those around us about having to sit by my yelling-but-happy baby," Zwick wrote. "The flight attendant came over and told me you were waiting to switch seats," Zwick wrote in her message to the man. "You were giving up your comfortable, first class seat to us." When the flight attendant told Zwick what the man wanted to do to help, she was overcome with emotion. "Not able to hold back tears, I cried my way up the aisle while my daughter Lucy laughed! She felt it in her bones too ... real, pure, goodness. I smiled and thanked you as we switched but didn't get to thank you properly." Zwick wrote the Facebook post to say thank you, "not just for the seat itself but for noticing," she wrote. The man saw them and realized that things were not easy. And instead of just turning away, decided to stand up and help. She thanked the anonymous flyer "for deciding you wanted to show a random act of kindness to US. It reminded me how much good there is in this world." Zwick said she said she can't wait to tell her daughter about this one day when she's old enough to understand. "In the meantime," she wrote, "we will pay it forward." Zwick only knew the man as the passenger in seat 2D on American Airlines flight 588, but she said she and Lucy truly feel inspired by him. She asked Facebook friends to share the post in hopes that the mystery man would see it. Luckily, American Airlines was able to help out and Zwick learned that the man in seat 2D was Jason Kunselman. The two connected on social media, ABC News reports, and Zwick got to thank Kunselman again. Not only did Zwick get to share her gratitude with Kunselman, but over 400,000 people shared the inspiring story on Facebook. The selfless act brightened the flight for Zwick and her daughter – and brightened the day for many others.